Re: Who manufactures the Vodafone T box? Who manufactures the Vodafone T box? Who manufactures the Vodafone T box? I’ve called Vodafone but they didn’t know (seems unbelievable but that is what they told me!. Whoever it is they didn't do a very good job. Continually having to reboot to try and rectify unacceptable Pixelation or is this acceptable as normal by Vodafone.? Is this what you're referring to? As the STB mention in replies is the new Vodafone TV STB, very different. yes, that’s the one just says model number HT500a but no mention of the manufacturer. Just trying to set up a ‘magic’ control on an lg OLED tv. 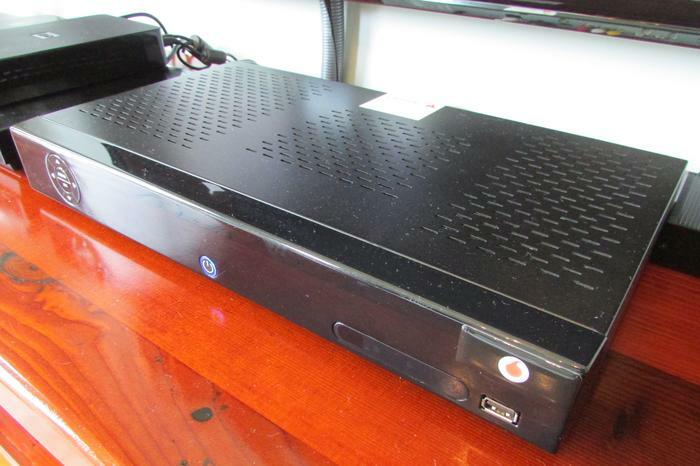 The set top box was custom built. You can use the same IR codes as used for the older (ADB) set top box. Search for ADB (Advanced Digital Broadcast).